designedByFrisbee design and develop bespoke and unique websites, and we take the time to get to know our clients and fully understand their needs, industry and personality. A website is your public persona, it's how potential customers will see you and form an instant opinion of you, so you want it to be right. We will work closely with you to learn as much as possible before our developers get to work creating an engaging website just for you. A content management system (CMS) will allow you to be in complete control of your website. You will be able to update information and change images as and when you want to. A CMS will also give you the ability to add new content like news and blogs to keep your site interesting and up to date. 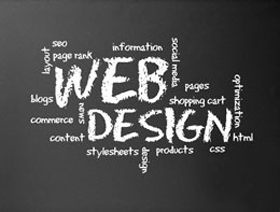 Frequently updating your website is great for your website ranking as search engines such as Google and Yahoo! love regularly updated content. Our CMS systems are easy to use with the benefit of updating your site yourself and your changes appearing instantly on your website. An eCommerce website will give you the ability to sell online. Our specialist developers have extensive experience of developing eCommerce sites for simple online shops to large multinational organisations. We offer a range of eCommerce services from a straightforward brochure site with a secure payment facility and shopping basket, to a more advance system with recently viewed items and stock level alerts.